Effective HR and operational managers make it their business to gauge how their people are feeling. Employee engagement strategies that work to keep good employees matter to them. In a time of talent scarcity, managers need to consider employee happiness while empowering them to reach productivity levels. 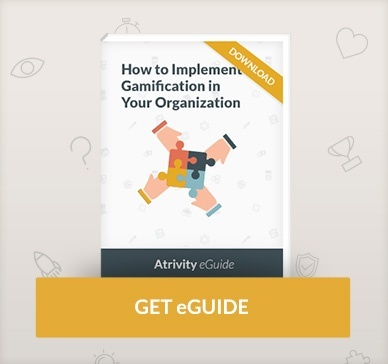 Anything short of this would mean unsatisfied people, decreased productivity, losing the employee and incurring costs in searching and onboarding a replacement. 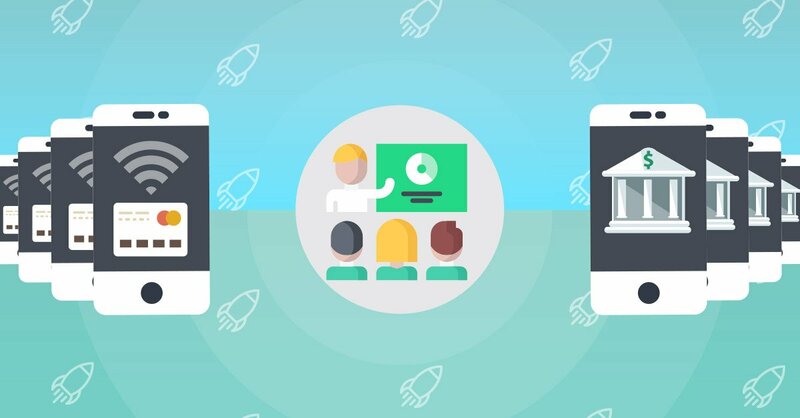 Today, Rebecca Lundin, co-owner at Celpax shares with us how managers can effectively increase workplace morale with technology that requires the simple gesture of pressing of a button. Forbes defines employee engagement as "the emotional commitment the employee has to the organization and its goals." 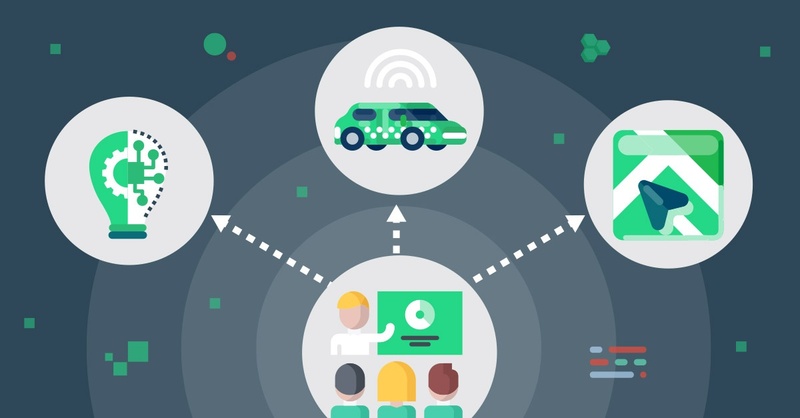 Companies are turning to simple technologies that promise reach, scalability and greater efficiencies to connect with their employees. There are easy ways to measure employees level of satisfaction or as Celpax defines it, measure employee morale. A number of Celpax clients are learning that change is most effective where conversations are already taking place. But for many companies this human touch doesn't come naturally. Hierarchies still run strong in large and traditional organizations. Even if one-on-one meetings take place, honest feedback is rarely transferred for fear of unknown outcomes. At the same time employees would never criticize management directly. Rebecca's proposal steers away from passive methods that often generate more doubts than trust. 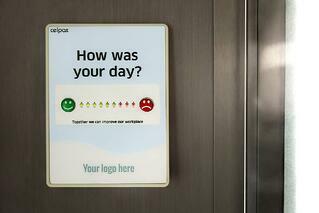 The Celpax mood meter proposition moves clients from traditional ways of gathering employee feedback to the mere push of a button. With only two choices, there is no room for misinterpretation. The device presents a straightforward action making participation easy. According to Rebecca for organizational cultural change to be a success it's best when changes are incremental versus making a large overhaul. When cultural change happens at a large scale there are risks. People are reacting to a project that may never make it to full integration for any number of reasons including resistance, slow adaptability or even the wrong solution. "It's more difficult to measure a large scale event and it takes longer for people to react. Additionally if the smaller integrations of the larger project do not work, it may never take off." says R. Lundin. With smaller changes, people respond quicker and you get immediate feedback. Dealing with smaller events make information gathering, interpretation, and adjustments easier to implement. A client introduced an activity called Waffle Fridays at the office. Every Friday some employees volunteered to cook for their coworkers, and the 60 people at the office would have breakfast together. As the company already had a baseline for how their people were feeling at work, they could see the “waffle impact”: Their average Friday was 10% greener than the rest of the weekdays. But hey, was it all down to the social activity you might ask, perhaps the employee morale is higher just cause it’s Friday? The company compared their data to the European office index, and found out that the “Friday effect” at other offices was 3% greener. So getting 10% higher green on days with their Waffle Fridays, shows that the activity was having the desired effect: it clearly pushes the employee morale KPI upwards. With change you can usually see button color change levels immediately. Another client for example during Christmas time experienced a spike. After a holiday lunch important company communication it's common to see more participation. However this isn't sustained over time if there is no follow-up in conversations already happening. After the holiday break people started to leave. They were lagging in salary levels and employees were being pitched by other companies. The company finally reacted. They didn't just raise the salaries, but had conversations and they started to see more green. 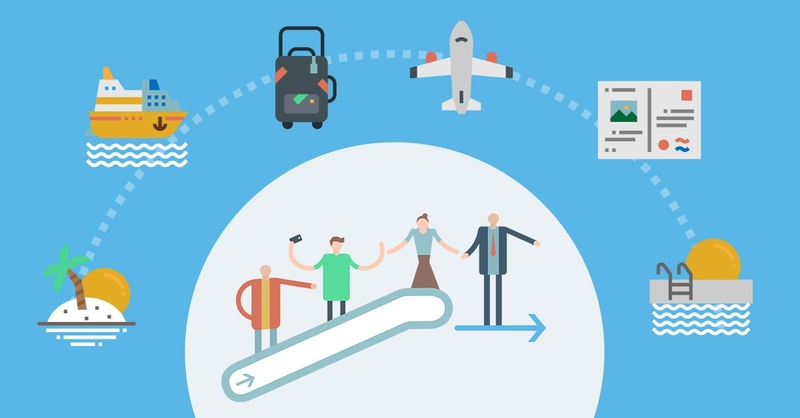 Although the device is simple, employees are still adopting a new habit. It works the best when contrasted with additional information, context, and where conversations are already happening. A simple, discreet device is placed in a visible area for all employees to readily access, always at an exit. At the center in bold letters, it reads "How was your day?" Nothing more, nothing less. With this information, HR and frontline managers gather insightful information that some use as their "people metric." A number of clients believe that just asking the question of "How was your day?" was enough to give employees the feeling of being listened to. But in fact, the data gives great insights when paired with what's going on each day. Management are sometimes surprised when there’s a high amount of red pulses after a day with an All Staff meeting, which they had been told “went well”. Sometimes it’s hard to tell someone to their face that people didn’t like their meeting. Especially if it’s someone higher up the chain. With a neutral number, it’s easier for employees to open up, and managers can use the neutral question “what made us press so much red yesterday”? to better understand how to move forward. What is the biggest barrier to technology implementation? An disengaged manager could be the barrier to install. They might also see it as a threat where departments can be compared. weaker managers are more resistant and more worried and you're now in the spotlight. Culture change tend to work best when it's in the shape of a program with an allocated budget. When you start something new or implement changes the numbers will guide you. One company implemented SAP, ran into complications and saw their employee morale KPI drop like a stone - it took them a full year to recover. For other companies it could take just a month to recoup the same level. The difference? In the later, regular conversations and acting on the results to improve, means people feel better at work. So when a company is at 50% green for a long time, what is needed? It all starts with having honest conversations. Why Employee Mood versus Employee Engagement? Rebecca steers away from the word engagement. In its place Celpax uses the "mood" metric. "It's about simplification." The question asked is "How was your day?" It's straightforward, clear and incites an impulsive reaction. Immediate reactions provide authentic response. Many companies replace the word mood with their own jargon. Some companies use employee satisfaction while others employee engagement and still others stick with mood. The other benefit lies in the simplicity of the term mood. The easier the concept, the easier it is for employees to talk about it. It is these conversations that transform the workplace from the bottom up. Transparency: if you can't make adjustments immediately, share the reason whether it be budget, timing, approval or that it doesn't fit with culture. Satisfaction in the workplace is crucial to keep employees productive. Many companies are still hierarchecal or lack a human touch. But talent is becoming scarce and employees are willing to leave a job to find a better fit. Companies need to find easy ways to get authentic feedback. Celpax offers a simple solution. When paired with context and conversations the impact on the work environment can be transformative resulting in happier employees, and thus a mindset to do a better job. 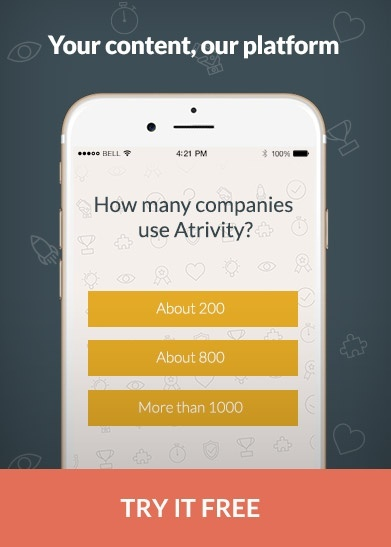 A competitive mobile trivia game to boost knowledge: use Atrivity with your content and players remember 25% more information in just 5 days. Learn more by playing a demo game, free.